All set for Ireland's Test debut. Throughout history, the plucky Irish have always had to battle for their piece of the pie, and the world of cricket is no exception. 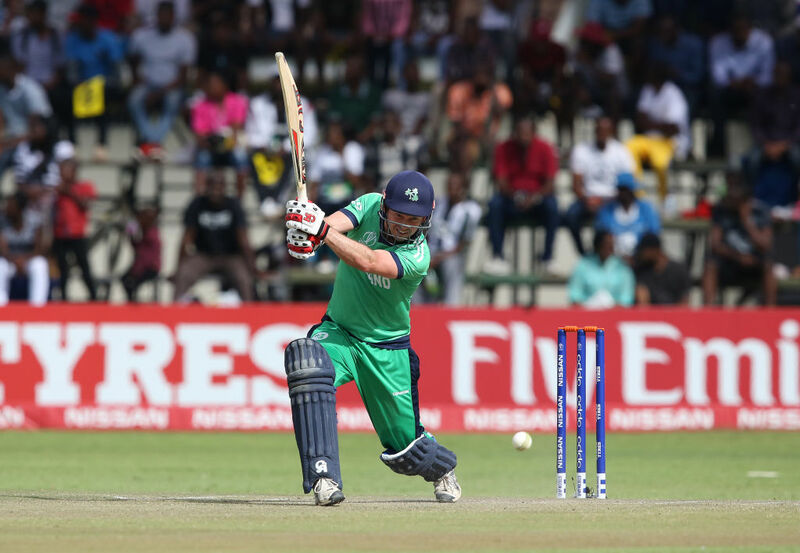 Despite some epic World Cup wins, the Irish will be seething that changes to the format for the 2019 World Cup have seen them lose out on a place in cricket’s greatest showpiece. 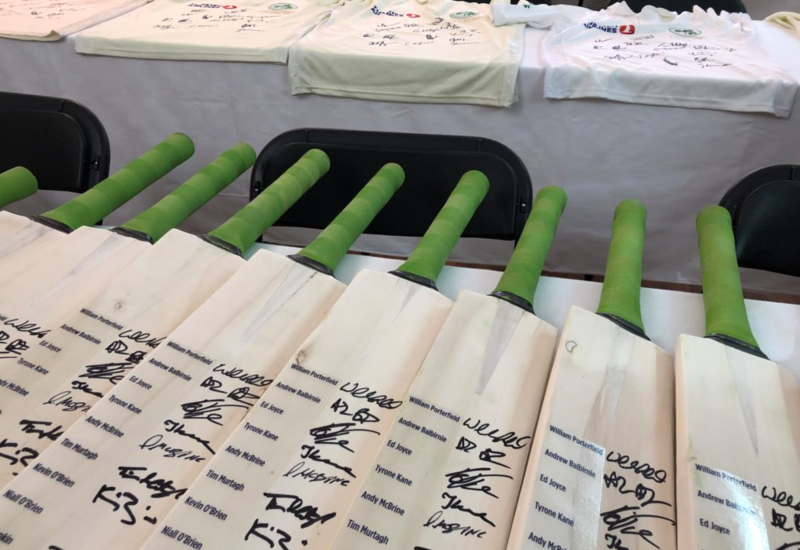 Consolation comes in the fact that they now have Test status, which means this Test carries greater significance as part of their bid to establish their credentials within the cricketing fraternity. It’s also vital in terms of building a solid following and fan base… oh, and not to mention playing a vital role in retaining cricket talent within the country. A side note for South African fans is that both Ireland and Pakistan (who also secured Test status) are coached by former coaches of the South African national side: Mickey Arthur is the Pakistan coach, while Graham Ford coaches the Irish. The Irish team is set to become only the 11th men’s Test-playing nation. Ironically, the Irish ladies pipped the boys to the post, playing their first (and only!) Test match way back in 2000. That match was played in Dublin, and the Irish lasses won by an innings inside two days… against the ladies from Pakistan! Have to ask… with the world’s best-ever record of Test success, why the hell haven’t the Irish ladies played again? Oh well… over to you, boys. Craig Young has replaced Nathan Smith in the squad. Smith pulled out due to a side strain. Barry McCarthy was originally given the nod to replace Smith, but he was unavailable as he had also picked up an injury; in his case, it was while playing in a county match for Durham. Have to say it… it’ll make a great story if Young (effectively the 16th choice for Ireland!) plays and enjoys success in the match! Some irony within Test cricket is that brothers have often made their Test debut together when their country has played its first Test match. The Irish team has two stalwarts who are sure to start in the shape of the O’Brien brothers, Kevin and Niall, and if their name wasn’t sufficient Irish pedigree, then the fact that their father played 52 times for Ireland must surely do it. Both brothers have played over 100 ODIs for Ireland, with Kevin’s 113 (off 63 balls) in their great World Cup win over England being a family highlight. In the first ever Test (Aus v Eng, 1877), Aussie captain Dave Gregory and brother Ned started the family tradition of Test togetherness. In 1932, the Indian brothers Nazir Ali and Syed Wazir Ali were both capped in their country’s heavy Test defeat to England at Lord’s. The Zimbabwean Flower power duo of Andy and Grant were a major force in their country’s strong Test debut against India in 1992. The O’Briens of Ireland are set to make it four brothers out of 11 Test nations, a high ratio for such a sporting oddity. Ed Joyce is the senior statesman in the side, and this is a factor that played a role in the only successful Test debut for a country to date (see below). With 2,622 ODI runs for England to his credit (and a high score of 160 not out), Joyce will add some much-needed grit and experience to the Irish challenge. Interestingly, he played for two different countries in successive World Cups (England and Ireland). He originally switched to England in the hope of playing Test cricket but, having failed to realise his dream, he returned to Irish cricket in 2011… and is now on the verge of realising his Test ambitions at the advanced age of 39! The only really strong Test debut for a country was Zimbabwe’s high-scoring draw against India in Harare in 1992, when stalwart Dave Houghton scored 121 off 322 balls, as his team enjoyed what could arguably be described as a winning draw. Aside from the first ever Test which was won by Australia (when both teams were playing their first ever Test), Zimbabwe’s draw is the only time a Test nation has emerged undefeated from their first time in Tests. Therein lies a record for Ireland to break by claiming a win over Pakistan. Sri Lanka and Bangladesh were both in strong positions in their first Test, but second innings collapses did them in. Captaining Ireland in their maiden Test is William Porterfield, the 33-year-old who has 11 ODI tons to his credit and nine first-class centuries. He is also Ireland’s top scorer in both ODIs and T20Is, and scored 112 in an ODI against England at the Malahide Cricket Club Ground in 2013, so he should carry some confidence (and home-ground advantage) into this match. What do you say, skipper? ‘There has been a lot of banging the drum. It’s going to be a pretty special occasion for the 11 that are lucky enough to take the park tomorrow. Everyone that’s ever worn the jersey and done things behind the scenes and devoted their lives to it deserve a lot of credit for what’s going to happen tomorrow,’ Porterfield told RTÉ. If you want to win your first Test match, playing at home is your best bet. Australia won the first ever Test at home in Melbourne, while Sri Lanka put up a strong fight against England in Colombo in 1982, as did Bangladesh against India at Dhaka in 2000. And, of course, there was Zimbabwe’s ‘winning draw’ against India in Harare. Mind you, South Africa lost in 1889 at home in Port Elizabeth, but funny wickets and amateur cricketers were a big part of the gig back then, so let’s leave that out as it spoils a good story. Oh, and New Zealand were thumped at home to England at Christchurch in 1930. OK, so let’s just say that if you play away, you’re screwed… but playing under local conditions puts you more in the game. This Test match is also the first time a country is making its Test debut against a team other than India or England. Those two nations have been part of every other ‘first time’. Captain Porterfield has high hopes that knowledge of local conditions – combined with a wealth of English county cricket experience in his squad – might help to stack some of the odds in his side’s favour. In particular, the early season conditions that favour swing could prove troublesome for the Pakistan batsmen who are more accustomed to slow, low, spin-friendly sub-continental pitches. However, this is the era of super professionalism, so the Irish shouldn’t read too much into that.